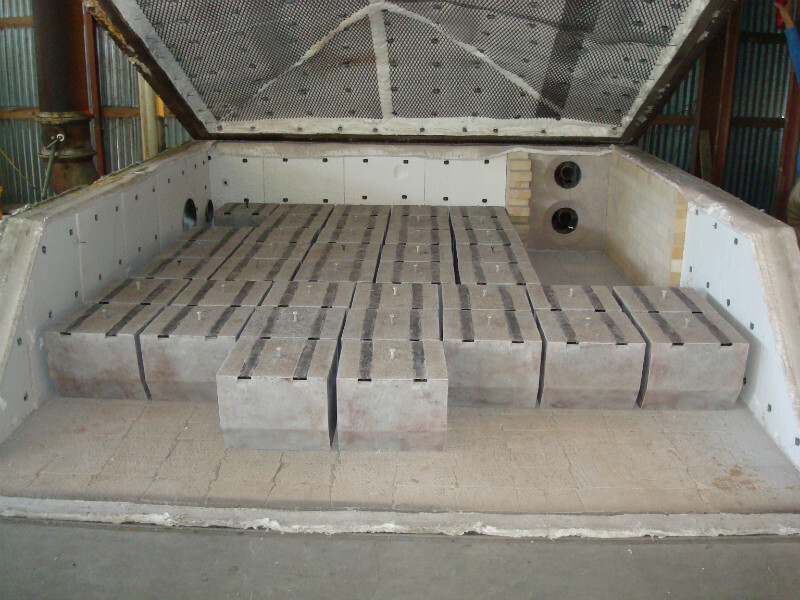 As for custom refractory requirements, we can cast and heat cure all types of special shapes regardless of size. Because Rimcor utilizes detailed casting procedures with various hydraulic mixers, we can guarantee quality shapes every time. Our 120 SF furnace is capable of heat curing shapes up to 1800°F, and our 80 SF vibration table enables us to cast several individual shapes simultaneously for quick turnaround capabilities. Rimcor has the materials, equipment, and design capabilities to meet our customers needs for normal or emergency situations. No job is too large or too small.